Amiyah Scott was born Arthur Scott on January 11th 1988. Birthed in Manhattan NYC, but raised in New Orleans Lousiana, Amiyah’s confidence and outspoken attitude resonates with the culture of both the resilient cajun city and popular borough. At a very young age Amiyah recognized that the gender she identified with did note cho who she is truly. At the age of 15 Amiyah underwent a partial male to female transition and explained to her family that she no longer wanted to be identified as male. At the age of 17 Amiyah fully transitioned into female and consequently battled with her mother and father’s acceptance. Amiyah then moved out on her own and explored small entrepreneurship opportunities, as she strived to be independent as a teenager. As a teen and neo trans-superstar, she made her mark by trailblazing the New Orleans underground ballroom scene, and modeling/acting, providing a fresh and unique look. Soon after her move out, her parents came to visit her giving their acceptance and support. Amiyah describes that moment as pivotal and especially admires the restored relationship she regained with her father. Though Amiyah struggled with bullying and acceptance throughout her entire life she never lets that deter her drive, ambition, and goals. Her brand in beauty, modeling and acting is trailblazing the trans community in just a short period of time. Amiyah is well known for her social media following and presence. 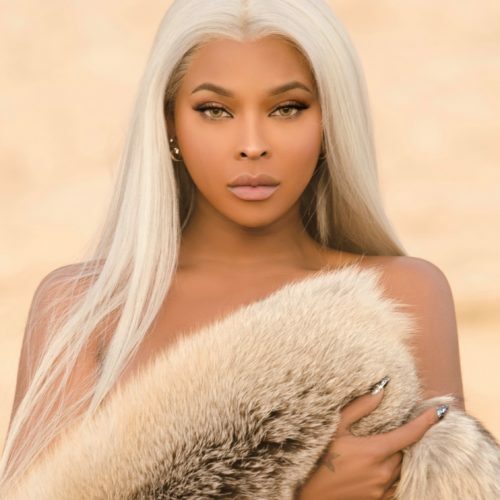 VH1 crowned her King by reporting that Amiyah “is the first transgender model to amass a large social media following on instagram.” Amiyah is also known for her unique, exotic and gorgeous look. Always keeping her hair, makeup, and fashion creative and heavily sought after. Early 2015 Amiyah taped for 4 weeks, on Bravo’s Hit reality series, Real Housewives of Atlanta. Although her tapings never aired Amiyah established good relationships with cast members who have hinted at Amyiah’s bright future. She has now landed a starring role as Cotton in Lee Daniels’ new series, Star. Amiyah is a proud advocate of the LGBT community and has centralized her focus on giving Transgender Females a voice. Amiyah desires not only to be an inspiration to the LGBT community, but Amyiah longs to inspire anyone who has a dream. Her hope is that her story can motivate others to go after what they desire most, regardless of adversity and never lose sight of their goals.